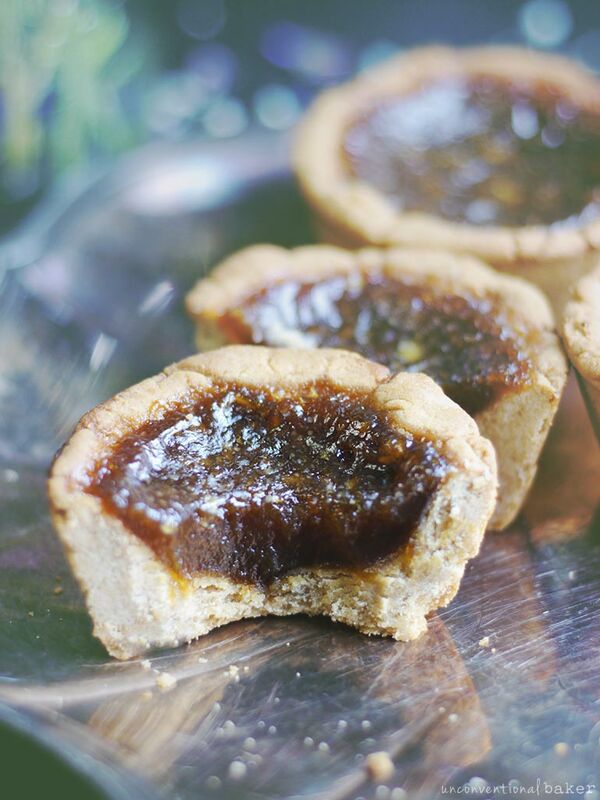 Have you ever heard of a butter-less butter tart? Well, if you’re ever going to be introduced to one, of course it will be here on this blog — where else, right? 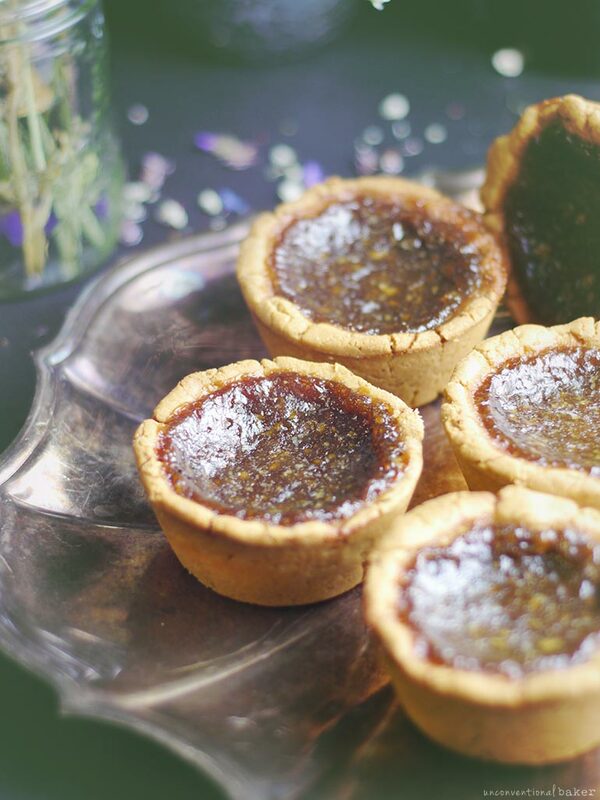 ;) Nope, not a spec of dairy-free butter in there, no margarine or oil, no refined sugar, no dairy, no eggs, and no gluten… But, yes, these vegan butter tarts are real — I promise! ..and real simple to make too. Now, when I mentioned that they are quite close to that maple pie — I mean it! The only real difference between maple pie and butter tarts is that they are meant to be a touch less maple-flavored (so I substituted some of the maple for coconut nectar / agave, but still containing enough of the maple to have its signature, velvety flavor in there). Also (for the uninitiated), butter tarts usually involve raisins or pecans… or sometimes crushed walnuts, though I never went for that kind, myself. 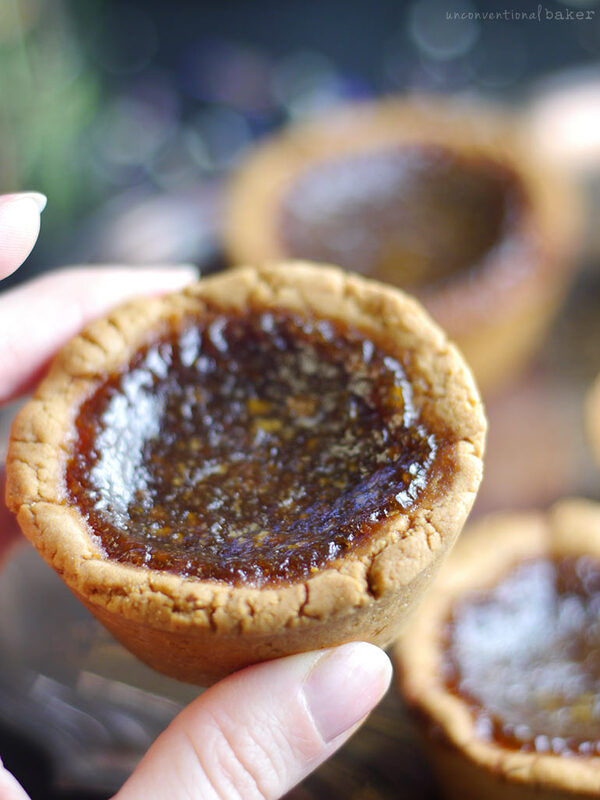 It’s also typically pretty difficult to find a bakery butter tart or a butter tart recipe without corn syrup, but in this recipe — none! Delicious gluten-free vegan butter tarts, filled with pecans and made without corn syrup. 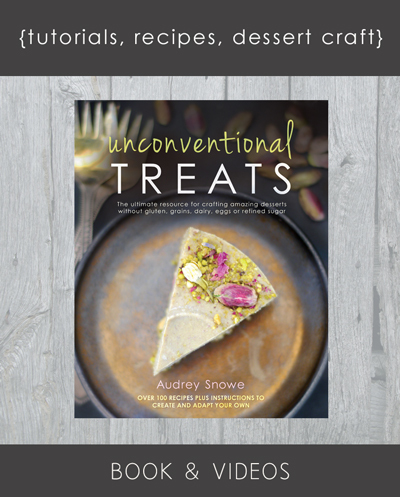 A Canadian classic made dairy-free! Preheat oven to 350F. Oil a 6-cup muffin pan and set aside. Process all crust ingredients in a food processor until the mixture begins to form a ball (note if the mixture is too runny, add a bit more flour, if too dry, add a bit more maple syrup. It should be very very soft and pliable but not sticky — so you can form it easily into a ball with your hands). Form the mixture into a ball and knead briefly. Divide into 5-6 parts (you can make 6 shorter cups or 5 taller ones — like mine). Place the dough inside each muffin cup and form into a crust along the base and walls with your fingers. Sprinkle the base evenly with the crushed pecan pieces or raisins (in filling ingredients). Set aside. Place all remaining filling ingredients in a small blender (I used my magic bullet) and process until smooth. Warm the mixture slightly by transferring it into a glass cup and placing the glass cup into a bowl half-filled with very hot water. Let the mixture warm up for a few minutes, then give it a stir. ** Once gently warmed, divide this mixture between the cups (pouring it over the pecans / raisins). (Note: it will be very liquid at this stage — that is normal. It will set as it bakes). Bake in a preheated oven for 30-35 minutes. Cool thoroughly to set before (ideally overnight or at least a few hours, or enjoy carefully after cooling for a bit if you prefer them warm and gooey — just be careful, that filling will be HOT!). Enjoy! *Note: it’s very important to chill the can first ahead of time, ideally overnight, so that the white cream layer separates from the water in the can. You only want to scoop out that firm white layer of cream, and leave all the water behind for other uses (or discard). I also recommend using Thai Kitchen full fat coconut milk here — I’ve had the best results with it for these types of recipes. 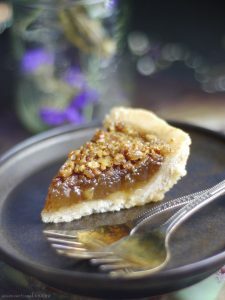 **The reason for gently warming up the mixture at this stage is that sometimes if it’s too cold it can bake differently as a result, creating a sort of milky / creamy filling that’s different to the texture and look of a butter tart. 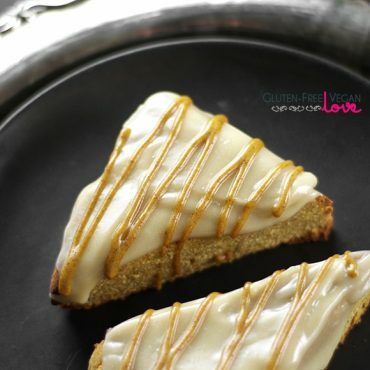 Starbucks Copycat Gluten-Free, Vegan, and Paleo Pumpkin Scones !! Would it possible if i could just bake the pie crust without filling.How long will it take to bake if I do? 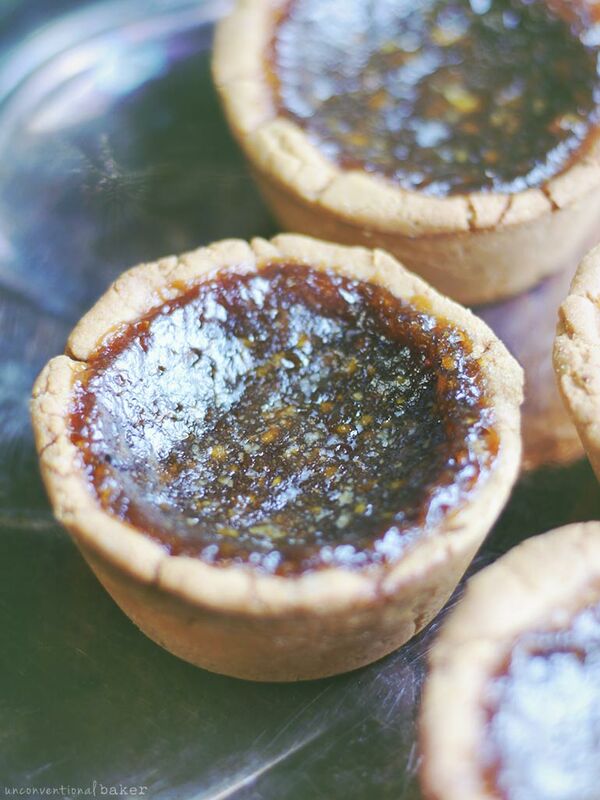 Turns out you don’t have to be Canadian to love butter tarts! These are so good. Like another of your readers, I didn’t have enough dough to make five or six cups, but the four I was able to make were delicious. When I used to like to travel, I did go to Canada, but these weren’t on my radar. Now they are, thanks to you! Hi Ellen, So glad you loved these :) I think they’re popular in parts of the US too, but for some reason they’re “a thing” here. Strange about the dough — I don’t know what’s going on there, except that maybe I roll mine out thinner or don’t make them as tall? I did notice another person mentioned it. I guess making more of the dough is a good alternative though. I’m glad it was an easy fix. I’ll keep it in mind now that a few people mentioned it and see if anything needs to be tweaked in the future. Fabulous, Incredible! I did have to make another batch of dough to use up half of the filling that was not able to fit into the first batch. 6 T of flour with the other liquid-type ingredients hardly amounts to much. I also had to take them out at 20 minutes in my 350 degree oven, or else they got too cooked/dark. Either way this is a delicious recipe and I will make it again with adjustments! Hi Monica, thanks so much for sharing your feedback — it always helps to hear people’s experiences with the recipes. I’m glad you enjoyed these. I find the dough is usually enough, though it might be I roll mine thinner and shorter? Since another person mentioned the same, I’ll have a look at the recipe and see if it might need to be readjusted. This sounds wonderful–but I don’t understand how crushed the pecan pieces should be—like crushed into pecan flour? Hi Ellen, they should just be chopped small-ish. You can see how the chopped pecans look in the video — so that’s the rough size they should be. I have a quick question for you! I really want to try these but I am just not a huge fan of pecans (something about the texture) would almonds be a good replacement? Or is there another nut that you think would work here? 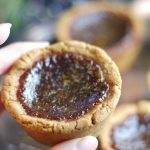 How do I print this recipe for butter tarts, don’t see a print button? Hi Sherri. 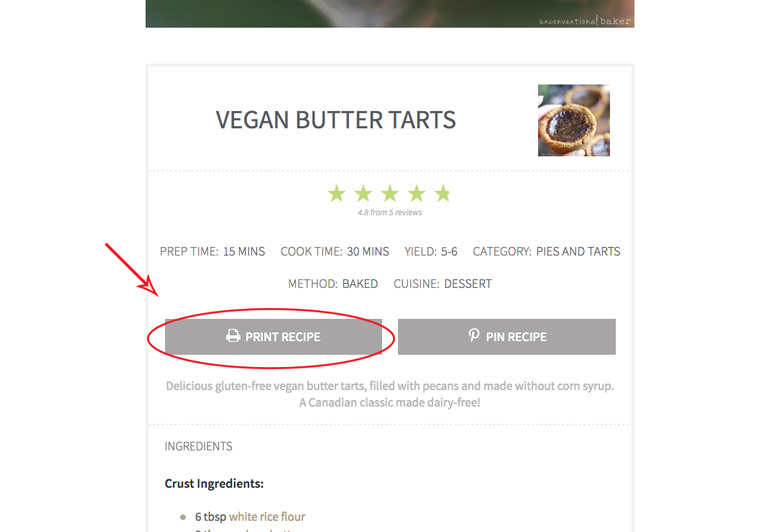 That’s strange, I see a print button in the recipe card. I wonder if there’s a technical issue of some kind — are you not seeing this button? I’m so happy about your husband’s comment :) That’s the best feedback. So glad you’re enjoying these. Honestly I have never commented on a recipe before… That being said Oh my goodness these are amazing! I’ve recently had food sensitivity testing done and now I must eat vegan treats/baked goods/sweets. 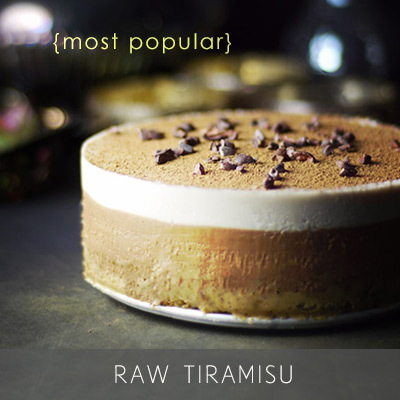 I was teased by the sight of maple pecan tarts all week at work and I was determined to find a recipe that wasn’t ‘raw’. I made the filling using honey instead of coconut nectar as I ran out but it turned out great! 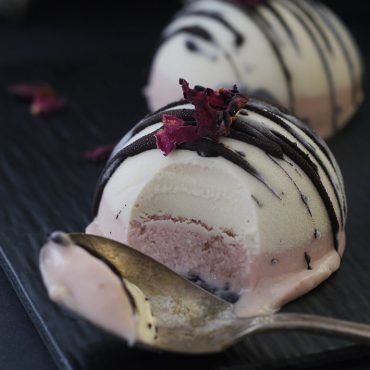 I tried the filling raw and thought this is sweet and tardy but not buttery, my was I wrong! When it bakes it bubbles like a traditional butter tart, it’s truly magic how the mix actually tastes buttery in the end!!! I can’t stop thinking or talking about these! My only issue was I had to turn down my oven as they browned too fast. I also wish they were a bit less gummy-I will try a slightly lesser amount of tapioca next time. Thank you so much for this recipe! 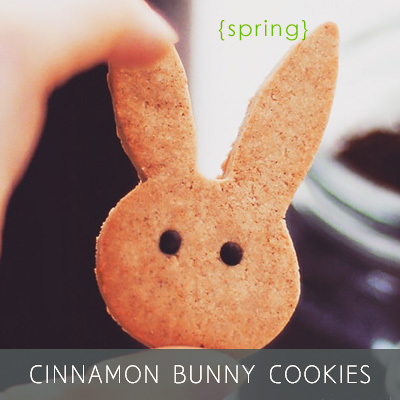 These are baking right now so I can’t comment on the taste. However I found there was more filling than there was enough dough for tarts? Not quite sure what I did wrong but I still look forward to eating them! Hi Jill. Hmmm.. Not sure why there would be more filling! There should be just enough for the 6, but having too much filling is better than not having enough at least ;) I hope you enjoyed them nonetheless. 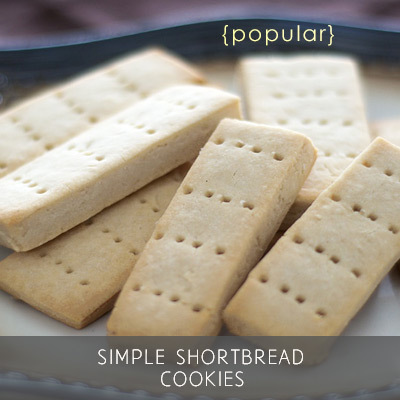 These look AMAZING and I love the simple ingredients! Can these be left out at room temperature, or do they need to be refrigerated? Hi Alyssa. They can be left out at room temperature. I just like to keep mine refrigerated so they last a bit longer and also because I like them a bit chilled, but it’s just a personal preference. Enjoy! Hi Deborah — so happy you liked it. And I’m glad to know coconut sugar works as a sub here :) Thank you for sharing. These tarts are delicious, I just made some! Although my filling didn’t brown anywhere close to the colour of yours. I had to take them out of the oven so the crust didn’t burn. Any ideas where I went wrong? That’s awesome — so happy to hear everyone enjoyed them :) Thank you for sharing! Hi Sheryll, you can try oat flour, brown rice flour, or millet, etc. I tried it with sorghum — it works overall, which makes me think that most gf grains will work, but I didn’t enjoy the texture as much as with a very finely ground white flour which is why I recommended it in the end. Let me know if you give it a go with another grain — I’d love to hear what you think. Hehe. Yes, I know — I’m not sure if I’ve ever seen a butter tart in the US, though I’m sure they exist :) But here they’re like a staple. Basically a flakey / cookie crust with a caramelized warm sweet gooey filling… hard not to like ?. I think I’ve run out of Canadian things to talk about though ?? at least for a few days… ?